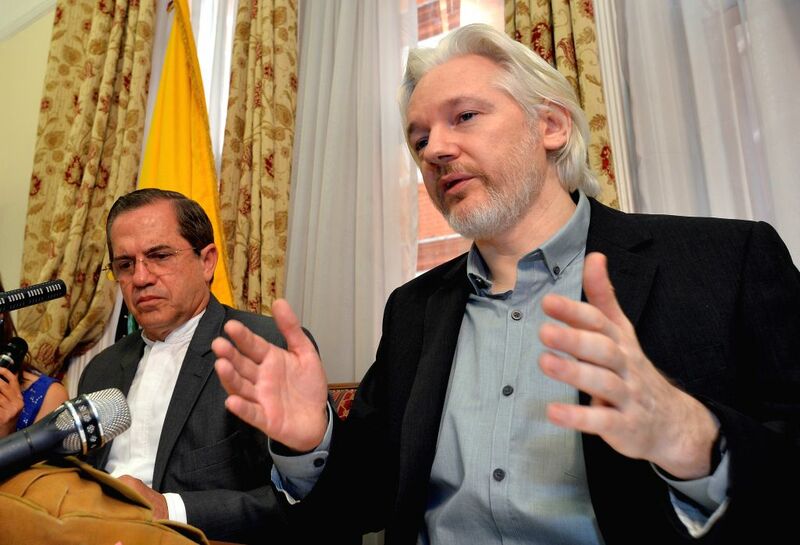 LONDON, Aug. 18, 2014 - WikiLeaks founder Julian Assange (R) and Ecuadorian Foreign Minister Ricardo Patino attend a press conference at the Ecuadorian Embassy in London, Britain, Aug. 18, 2014. 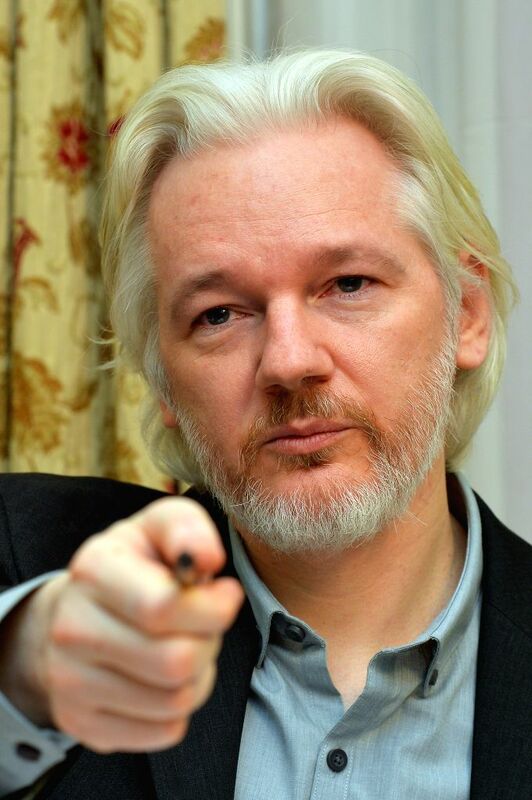 WikiLeaks founder Julian Assange said on Monday that he would be leaving the Ecuadorian Embassy in London soon, where he had taken refuge for two years. 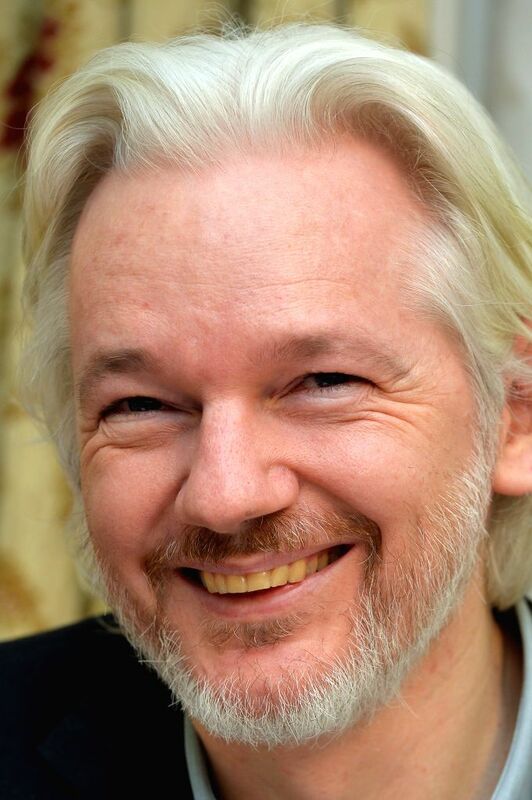 WikiLeaks founder Julian Assange attends a press conference at the Ecuadorian Embassy in London, Britain, Aug. 18, 2014.